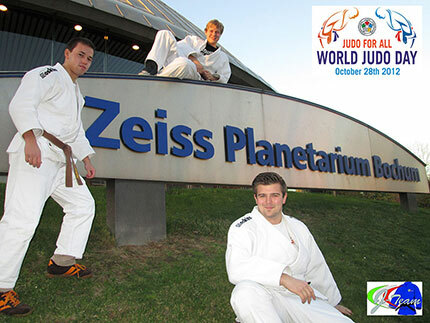 The Judoka from the Polizeisportsclub Königsbrunn partecipated also in 2012 with great pleasure and different activities on the 2nd edition of the World Judo Day. "Judo for all" is a great idea. We invited the whole Judo-families. 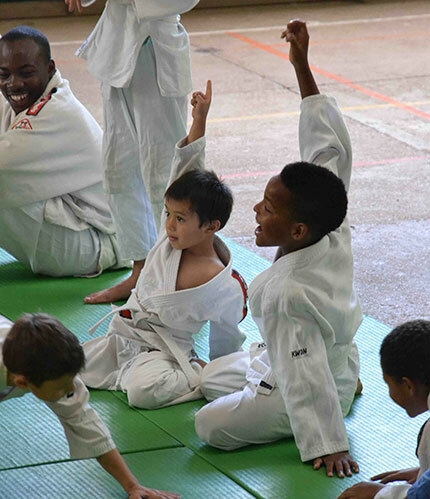 Parents could be active in Judo, gymnastics and self-defence. Children showed their work of arts in paintings a.s.o. We got great feedback by an WJD-demonstration in the great supermarket REAL Königsbrunn. All partecipants have had great fun and are awaiting the motto for the next year. Best Judo-greetings from Königsbrunn. On the 28th of October 2012 at the National Stadium in Freetown, parents, Government Officials, dignitaries, the print and electronic media, the representative of the Ministry Youth Employment and Sports and the general public witnessed the celebration of the World Judo Day and the Lunching Ceremony of the Sierra Leone Children Judo Foundation. The Chairman of the program was an American citizen, a black belt holder in judo and other Martial Arts disciplines from the United States of America Mr. Lue Owen. The Celebration started with opening prayers both Christian and Muslin by the Secretary General Mr. Leslie Smith and the Public Relation Officer Mr. Alimammy Kamara respectively. The Treasurer of the Sierra Leone Judo Association Miss. Princes Kelley and the judo kids sang the Sierra Leone National Anthem. A Welcoming address and the World Judo Day Message from Mr. M.L Vizer was read by the Secretary General of the Association Mr. Smith. The president of the Sierra Leone Judo Association Mr. Idrissa Massaquoi delivered a speech about the strive the Association have made for the last four years and explained to the public and representative of the Sport Ministry about the financial constrain the Association is under going since the existence of the Association. He also explained about the successes the Association has made in lunching the children judo foundation, the implementation of judo into the Republic of Sierra Leone Armed Forces and the Police, the opening of new judo centers in the country , the development of new coaches , the collaboration between the National Olympic Committee, the Africa Judo Union and the International Judo Federation and also the sensitization of judo for peace into the just society through the humanitarian support from the International Judo Federation ( IJF President M.L Vizer) and the commissioners of the: Children Judo Commissioner Mr. Ziggy , the Military and Police Commissioner Mr. , The Judo for Peace Commissioner Mr. Eric and the President of the France Judo Federation Mr. 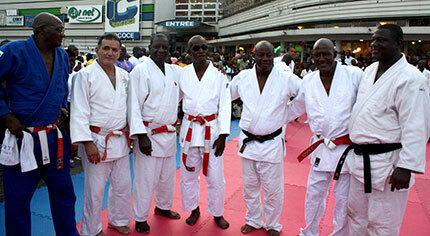 The Unveiling Ceremony of the judo equipment was done by the representative of the Hon. Minister of Sports Mr. Sorrie Kamara , the Chairman of the program Mr. Owen, the President and Secretary of the Sierra Leone Judo Association. The Parents and the representative of the Sport Ministry officially declared the lunching of the Sierra Leone Children Judo Foundation and the demonstration of the world judo day. The Children started the demo by teaching the public about judo and its values in English and was translated into our local language. Just After the teaching of judo by the children, the first judo demo was done by a 15 year old female judoka throwing a black belt 73kg around the mat following a rapid fantastic and dynamic techniques that makes the public feels as if they are watching a movie. The children performed all the break falls, some throwing techniques and a two minutes randorie which has totally changed the concept of Sierra Leoneans about judo. The program was covered by the Sierra Leone Broadcasting Cooperation Television two days before the program and also was covered live by four major radio stations in Sierra Leone. A short drama on judo for peace and a musical performance was done by the children and a famous Sierra Leonean Artist Mico ‘d’ Don. Vote of thanks was done by the Public Relation Officer Mr. Kamara. 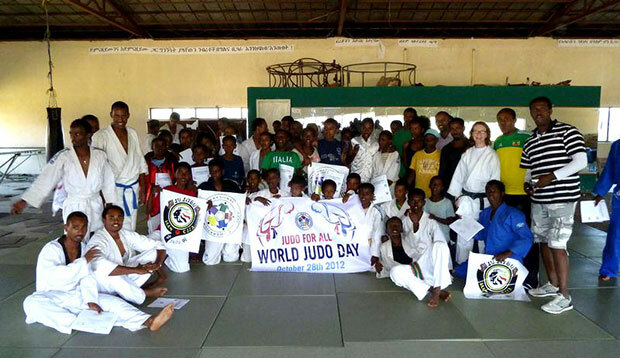 The world judo day and the lunching ceremony of the Children were sponsored by the President of The Sierra Leone Judo Association Mr. Idrissa Massaquoi and the executive of the Sierra Leone Judo Association. 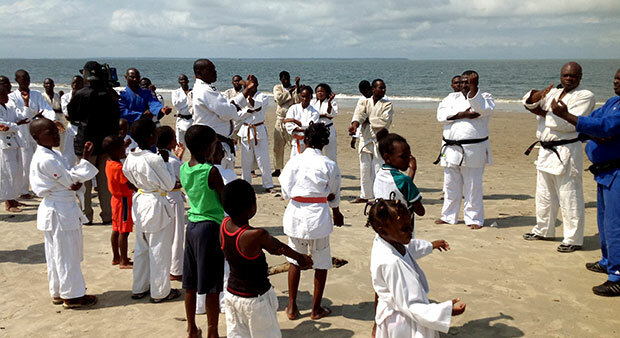 On October 28th, The Gabon Judo and Ju-Jitsu Federation celebrated the World Judo Day on the Lycée Leon Mba beach, with judo clinics and demonstrations. This was a great success. Most of the club from the capital city, Libreville, were represented. Several generations of judoka were present and many people discovered judo for the first time. Judo and its values were highly celebrated. The event was put under the leadership of Master Michel NGOME NDONG, national coach. The President of the federation, André ANGWE ABOUGHE, was also present to show the example. All participants received a diploma and the media coverage was excellent. 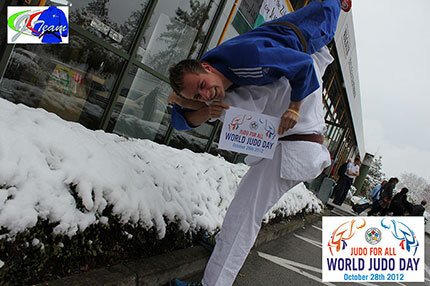 We are pleased to inform you that the Judo world day was also celebrated in our country. 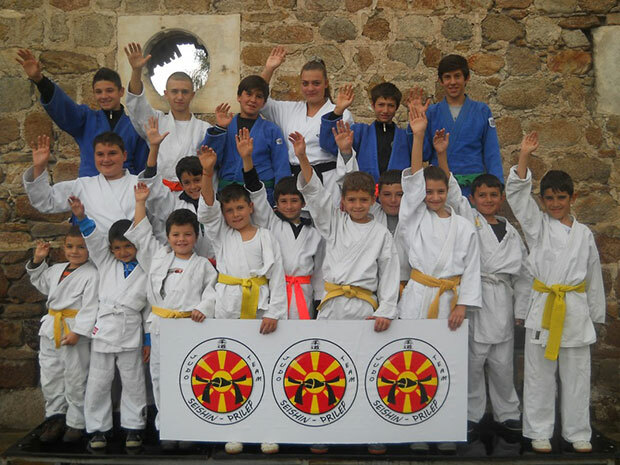 On the 28th of October the Judo club “Seishin” from Prilep presented the judo sport in front of the Macedonian people. World Judo Day in Ploiesti-Romania "Meeting between generations"
With the occasion of World Judo Day, in Ploiesti-Romania(Prahova County), in the dojo of the local club CSM CFR CSS Ploiesti, a special event was organized with the local theme “Meeting between generations”. Over 150 judoka participated at the event with ages between 2 and over 60 years old from Ploiesti and nearby areas(Boldesti, Cocorasti Colt, Brebu). In front of numerous officials, parents, grandparents, brothers and sisters of the judokas, press and television, the event was very well organized. First of all Mr. Gheorghe Savu, technical director in the Romanian Judo Federation, read the message of the International Judo Federation’s President, Mr Marius Vizer and the Romanian Judo Federation’s President, Mr Eduard Doandes. After that, the word was given to Mrs Corina Ungureanu, counselor of Ploiesti Mayor, Mr. Iulian Badescu. She read the message of the town’s first citizen. Also the oldest judoka present there said a few words about the special event and the youngest also talked a little bit about the importance of the event. Then Mr Gheorghe Savu gave Mrs Corina Ungureanu on behalf of the Romanian Judo Federation a participating diploma, and then was the turn of the other participants to receive diplomas given by Mrs Ungureanu. In closing the event, young judokas, along side with the elder ones, made a beautiful judo demonstration. 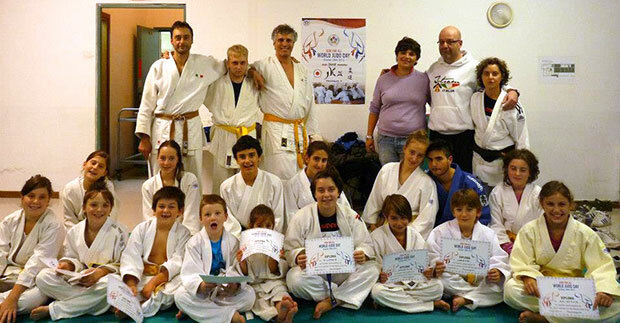 Judo team from Bardejov, fans Judo and parents from Slovakia / Judo club Bardejov / joins for World day of Judo. This day should unite all people of good will. In this spirit, we want to hold these principles and ethics in terms of judo as it enacted Jigoro Kano. These rules we are teaching our boys and girls from aged 4 until 60 years. This is also the reason that Judo can bring together all people from young to late age. Polish Judo Association has organized a contest poem to celebrate second World Judo Day in Poland! Poem must included few words: "Judo for all, fun, smile, every day, equality." Poems were beautiful, everyone got the award. A year after World Judo Championship OPEN and the first World Judo Day of 2011 Tyumen, Russia again participated in celebration. 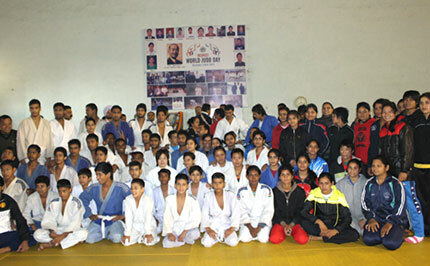 For this year competition and joint training in spirit of JUDO FOR ALL were organized. 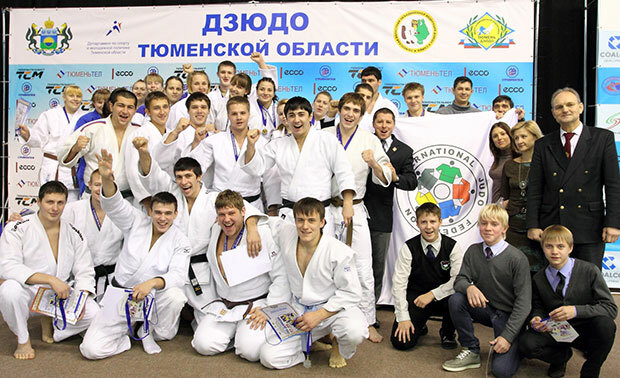 In the competition hall of Olympic training center “Tyumen-Judo” an open championship of Tyumen region was held. Over two hundred judokas from big cities and villages competed each other. Many famous athletes from different sports attended the competition to show their respect to great celebration of World Judo Day 2012, such as world judo U-23 champion Kazbek Zankishiev, Paralympic champion of Athens and Beijing in swimming Igor Plotnikov and others. At the same time, Family Judo training took place in training hall of the center. 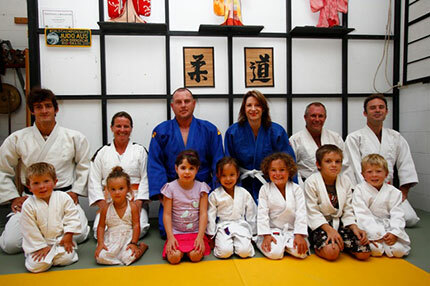 The youngest judoka together with their parents had a joint training to share main values of judo. At the end of the session, judokas drew pictures on “Judo For All” topic. 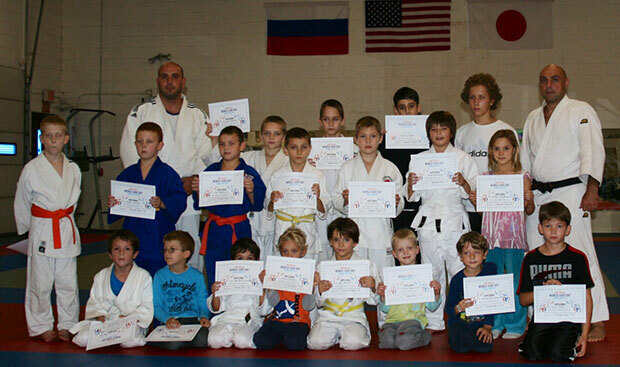 All participants were awarded with IJF diplomas and commemorative medals. Local Sport-TV filmed the celebration and showed it in news blocks. 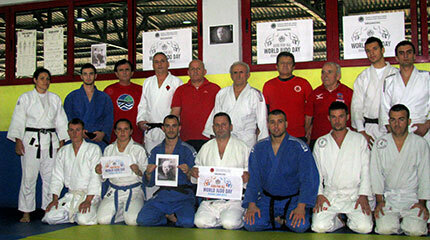 We all got together at Judo Clube de Portimão (Algarve, Portugal) to celebrate the World Judo Day 2012. We strongly believe in and practice the principles of Judo in our everyday lives and that is exactly what we pass on to all our judokas, specially our youngest ones. In the end of the class we all round up to celebrate Judo... this is what Judo is all about : Judo for ALL and ALL for Judo. Yesterday in Andorra there was the “Copa Govern Andorra” with the participation of a lot of judokas. The competition was in the Andorra’s capital, Andorra la Vella and it was organitzed by the Andorran Judo Federation and was put under the umbrella of the World Judo Day. 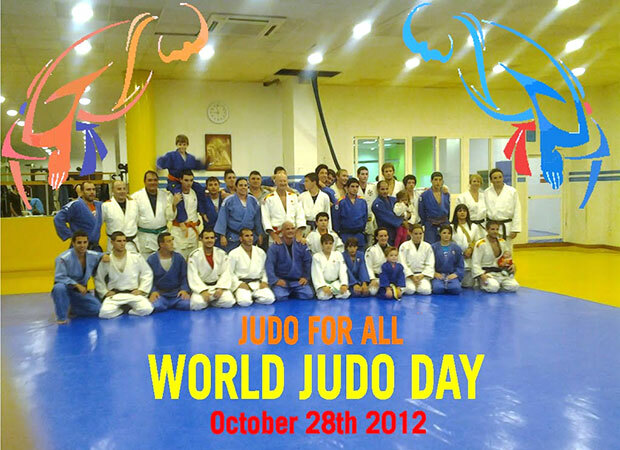 On Saturday, October 27th 2012, our Club "Yawara Force" was hosting an “Open House” – Judo Day. 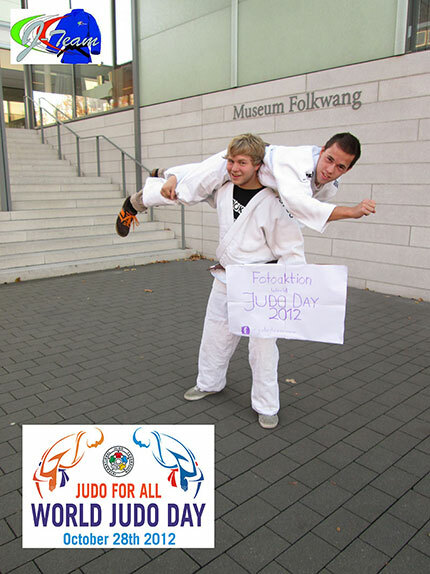 This event took place in support of the IJF’s World Judo Day – Judo for all. The whole day we were demonstrating Judo techniques, introducing new people to our sport and Judo history for children of different ages, as well as their parents. 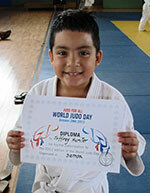 At the end of the day, all participants were presented with Diplomas (World Judo Day Participant). We hope that having such a day, our sport – JUDO become more recognizable and more popular in the United States. We invited students from the two local judo clubs and a local high school that has judo taught three mornings a week. Our idea was to show as many techniques as possible from the five black belt instructors rather than spend a much time on a single technique. Each instructor would demo a technique, then have the students practice as the instructors assisted. Each technique would last about 5-10 minutes and so on. A one hour break for lunch where the students socialized and made new friends. Everyone was so pleased with the class we are thinking of bi-annual or quarterly practice session. A Very Happy Birthday for Jigoro Kano. 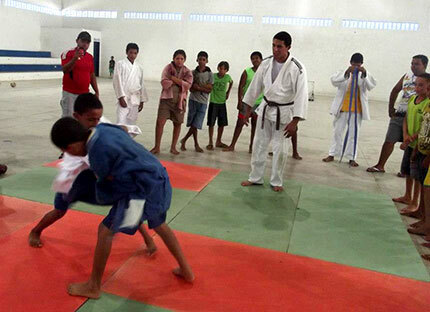 Follow the link and discover the event organized by the Adonai Judo Club in Juazeiro do Norte - Ceará. 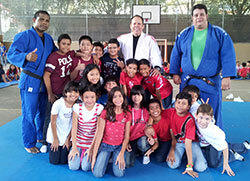 Were approximately 400 children, forming part of the system of Sistema Judoca de Ensino, coordinated by me. These children have between 4 and 12 years, and are graded several kius. Some of them already have in their training techniques of judo itself. Other work of playful way, to insert them in the world of techniques and prepare for that in the future they have their learning within our sport eased. The event was held inside a large shopping of our region, the Catuaí Maringá Mall. Had more or less circulation, peoples/hour 1.200, during the 4 hours of activities. Involved 12 Senseis black belts, 1 Sensei 6 dan, scholars of physical education course, the UEM- Universidade Estadual de Maringá, Senpais and most diverse kius, and a huge range of health professionals and education. We can say with certainty that the project was a total success. He finds himself in the third edition and with the date set for its implementation next year. 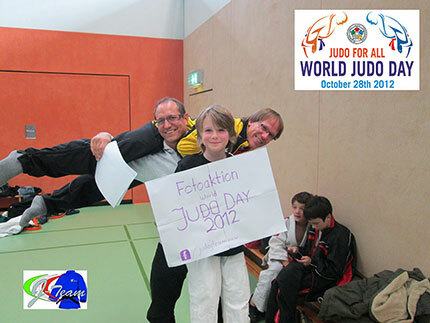 We greatly appreciate the support of the IFJ and the inclusion of our event at WORLD JUDO DAY. The Judo Club Remete in Zagreb proposed us an outstanding video, which perfectly illustrates the theme of this year's edition of the World Judo Day. Dans le cadre de la journée mondiale du judo ( World judo Day) célébrée le 28 octobre, la fédération vous propose ce petit film. 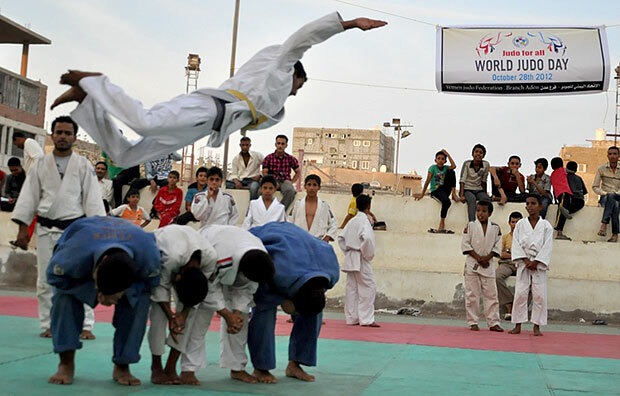 Yemen, Oct.28 – On the occasion of the World Judo Day, Yemen judo family has celebrated this day to share and promote for the values and principles of Judo and to attract more athletes to the mat. 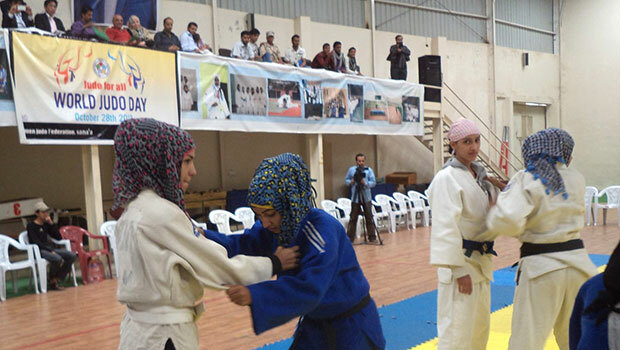 As this year's theme of celebration is "Judo For All", the Yemeni Judo Federation made sure to celebrate the occasion in different Yemeni governorates to include the maximum number of judokas from different ages in these governorates. The federation held the performances on the World Judo Day on October 28th that corresponds to the birthday of Jigoro Kano. The sketches included judoka of all ages, male and female in judo centers and schools. It held the performances under the slogan of "Judo For All. The judo sketches were performed in Sana'a the capital city of Yemen, Dhamar governorate in the middle, Almahweet governorate in the north and Aden city in the south. It is worth mentioning that the sketches in Sana'a, the capital, were performed in a women sports club. In Almahweet governorate were performed in an orphants school. In Aden city, the sketches were peformed in an outdoor place in Alwahda Sports Club. The celebration of the day is of importance especially in Yemen, one of the countries of the Arab Spring. Recently, political arguments prevailed that only similar political backgrounds bind people together. For that purpose, the federation is promote for understanding and respect between people. 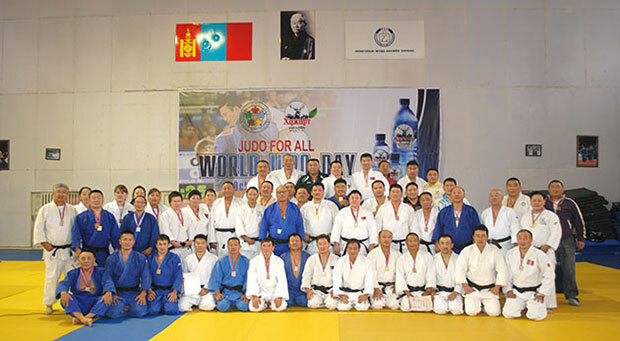 Mongolian Judo Association successfully organized Grand Masters National Championships on the occasion of World Judo Day on 28 October, 2012. After the Grand Master National Championships made open reception for all members family members, children and National Senior Team members participated. We are very proud that part of the World Judo Family and celebrating such wonderful Holiday. 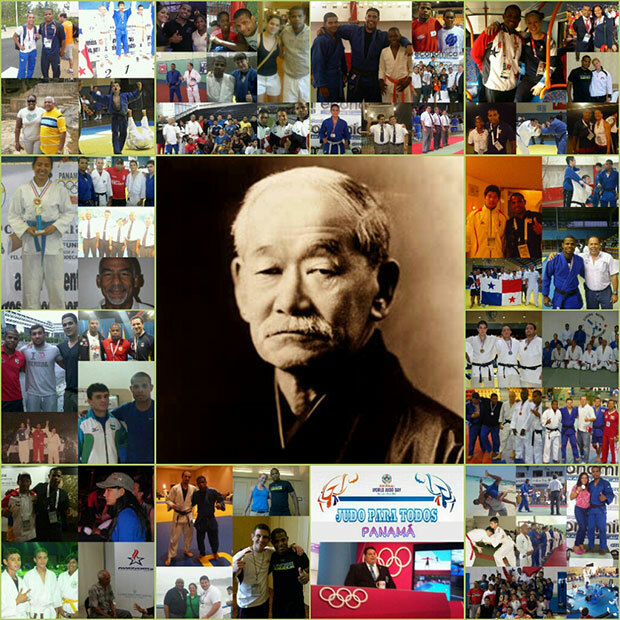 Thank you IJF and made such nice day in birth of Sensei and Founder of Judo Jigoro Kano. 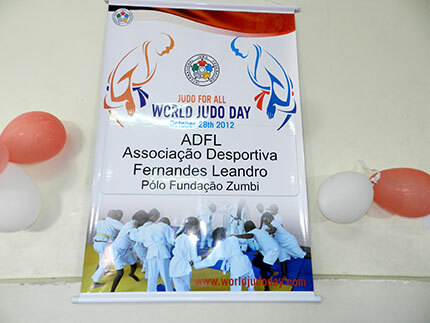 Association in Samoa that included pictures of judo classes at St.Mary's College and the logo of the World Judo Day. The article covered the front page of the Local Sports Scene. A full-page colour ad of the World Judo Day was published on Friday and Saturday inviting all people between 5-70 years-old to join the fun on Open-Day at Apia Park. For the occasion, the association organized a BBQ providing free hotdogs for all who gave it a try, from people interested by the sport, to old members and current little juniors, juniors and seniors. Our sensei, Toshio Suzuki, demonstrated kids classes, and basics of judo, our National Coach JOCV, Shintaro Mogi, led the video showings of the best of judo champions on our 40"LCD screen. Our judo for rugby instructor Frank Stowers demonstrated techniques that are used for the Manu Samoa 7's team training in preparation for the HSBC World 7's Rugby Series, and all were able to met Aleni Smith, our London Olympic athlete, who gave a small demontration of techniques. Around 70 people turned up for the Open Day - all who participated received a Participation Diploma awarded by the IJF for their effort and contribution from our small islands to the global celebration of Jigoro Kano's birthday. The Panamanian Federation of Judo has made in regards to the International Judo Day of our beloved sport, several activities on October 28. 1 - The first activity was a training camp for athletes, where they were able to share experience. 3 - Finally, on Sunday 28th a competition was held to put a final point to the celebrations. Long life to the international day of Judo and to our International Judo Federation. 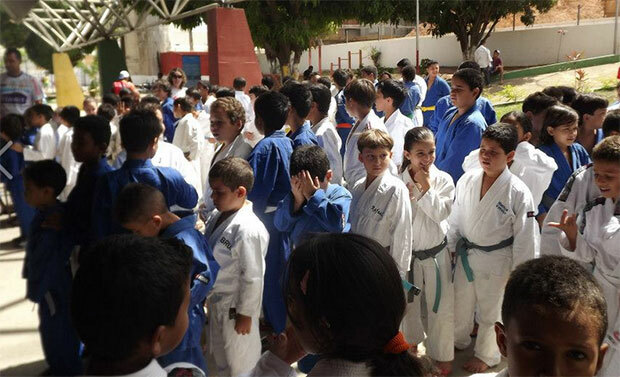 Today, October 28th, we have organized judo session at the Gymnase Pedro Fernandez with kids from the sports club and from an NGO (APIR) where Francisco Olivenza teaches judo. During the judo clinin Mr. Olivenza presented the philosophy and the values of judo and specifically the Judo for Peace values. Everybody could practice judo in a very friendly atmosphere and after the judo session, everybody enjoyed a World Judo Day cake. 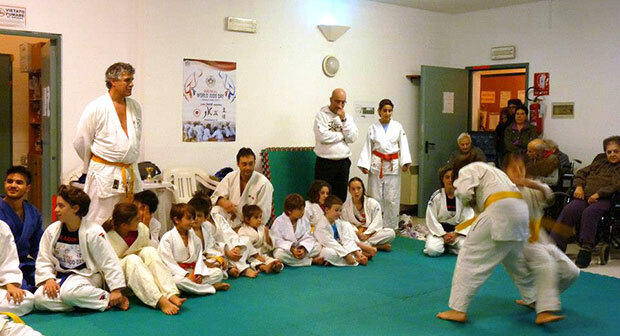 In Castellon de la Plana, the judoka from the local club also organize an event related to the World Judo Day, where all levels of judo players could train together. Everything was possible thanks to Jose Luis Caballero and Pere Navarrete. 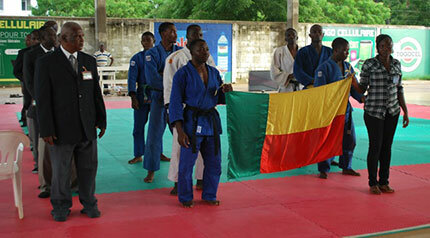 The World Judo Day was celebrated in Addis Ababa, Ethiopia. EJJA has held special training and informed the press/media. The Judo & Ju-Jitsu Association has already celebrated the World Judo day in advance with a joint training session held by Melanie Stoll two weeks ago in order to have memorable day with Melanie Stoll that came extra to teach judo in the cooperation with the German Olympic Committee and Office of Foreign affairs. 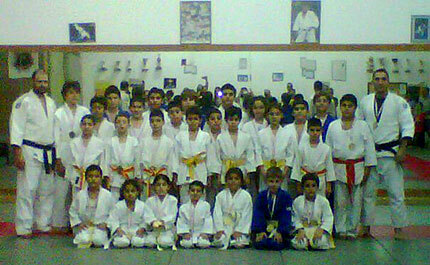 More than 60 Judokas visited this unforgettable seminar. We are glad to be a part of the World Judo family and send our cordial greetings to its President, board, all National Federation and millions of people that practice Judo across the globe. The President of the IJF, Marius Vizer, has sent a letter to all those who practice Judoka in DOJO centres around the 5 continents to promote and organise the ‘World Judo Day’ with the theme ‘Judo for All’. I have wanted to introduce the concept of ‘Culture’. That culture, intrinsic in all of us, deriving from the discipline which Judo gives and stimulates those sensations which can create ‘immaterial energy’: sensations which immerge us into our daily lives. On the occasion of this ‘Judo for All’ I would like to take the opportunity of paying tribute to a famous Judoka and Artist, YVES KLEIN ( the first French Judoka – 4th. Dan KDK Tokyo 1953): with whom I had the honour of practicing Judo at the Judo Club Olympic – Fontenay aux Roses from 1959 – 1962. (Yves Klein died from a heart attack in 6 June, 1962) I was present the day in October 1960 : when he performed his famous ‘Saut dans le vide’ at Fontenay aux Roses’: I helped hold the canvas on which he landed. He wanted to demonstrate that practicing judo gave him that energy which he called ‘L’evitation dynamique’ to paint in the liberty of space The youngsters of Sport Club Sesto, listening attentively, were enthralled by Master Ubaldo Paschini’s account of his memorable experience of years’ past but understood the importance of the spiritual rather than the material aspect of our lives, gained through the practice of Judo. In the photograph above. Judo Master, Gaetano Manna, on the left, Master of Judo, Ubaldo Paschini (member of the International Children Commission for Judo – IJF) in the centre and Master Valis Paschini. On October 23rd at the Judo EUROPARADISE POMEZIA, several provinces met to share our wonderful sport that unites and bring them together and help them to grow. The event of 28 October was a great success, the gym was open to all children and that the public has enjoyed participating in full including the values of our sport and the theme of the day. 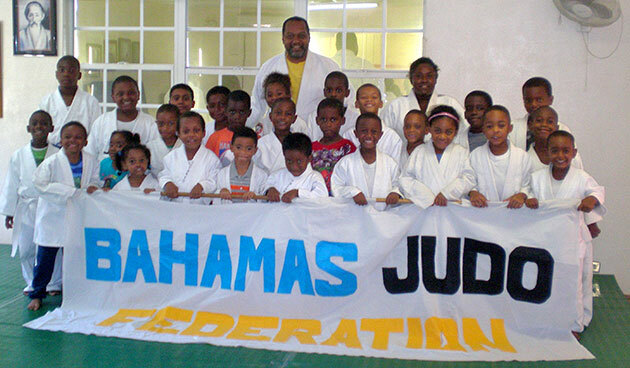 In celebration of World Judo Day, Bahamas Judo hosted a games day for kids at All Star Family Center, Bahamas Judo Federation headquarters on Joe Farrington Road. This event was held one day after a category two hurricane passed through the islands. 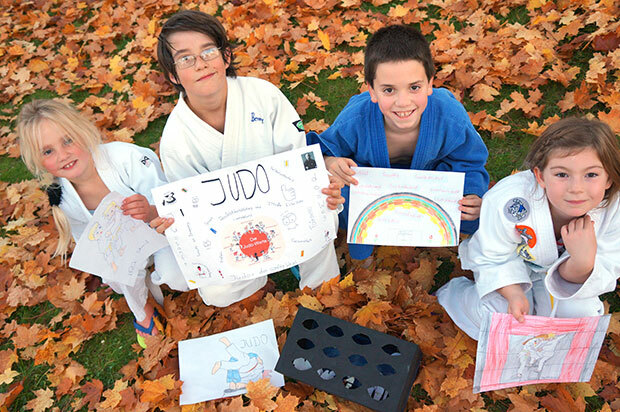 Students were allowed to invite friends to various classes by age group to win judo prizes such as patches and pins. The event was well received with students enjoying the change in pace from normal traditional training. 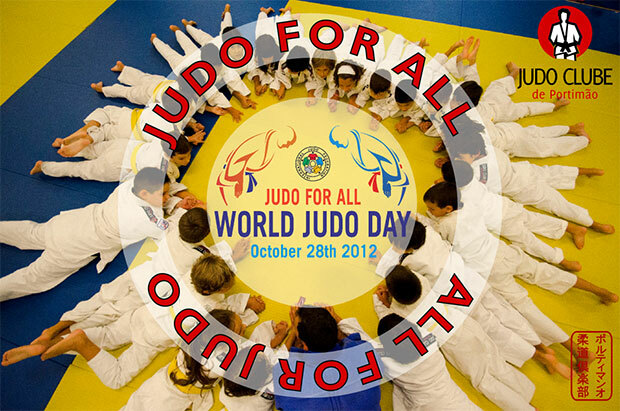 The theme of World Judo day is “Judo for everyone”. Judo is practiced the world over by persons of all ages and of various handicaps. For example, there are even blind persons practicing Judo.The concept of World Judo day is the brain child of the International Judo Federation of which the Bahamas is an active member. 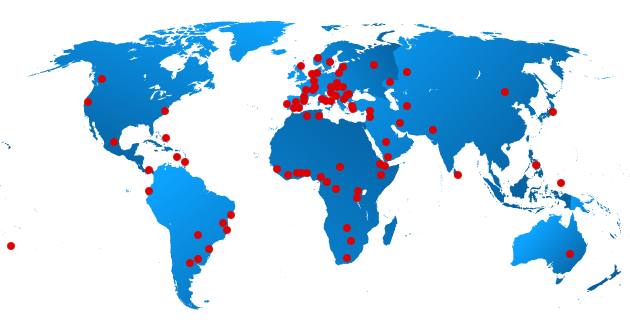 Federations around the world are coordinating various events to commemorate the day. In honor of World Judo day the Bahamas Judo Federation is also offering twelve 30 day scholarships to anyone of any age wishing to try judo. A purchase of the Judo uniform is required. 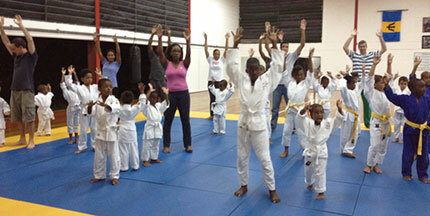 For more information about Judo in the Bahamas, persons can call 364-6773 or write allstarbahamas@gmail.com. Read more about the event and click here. 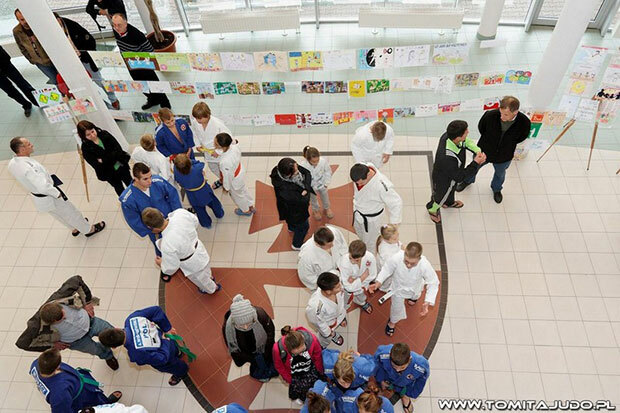 This morning, Timisoara hosted the most extensive event ever,dedicated to judo. 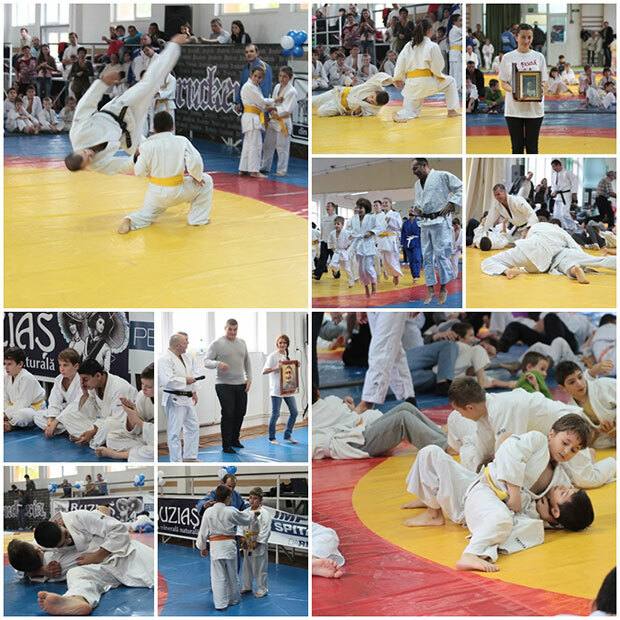 The demonstration organized by Judo Phoenix Club , led by Laurentiu Jurca with Liana Marin and Danile Dragomir brought together over 100 judoka.Participants, aged between 3 and 14 years from CSS Lugoj, C.S. Pro Motrica Timisoara, Makotokan Dojo Timisoara and CS Judo Phoenix Timisoara proved their skill in front of the audience ,and their parents, for the first time were invited to enter on tatami and become partners on children demonstrations.With this special ocasion “World Judo day” wich marks 152 years since the father of this discipline born,Jigoro Kano, dozens of small judoka from Timis have responded to the Judo Phoenix Club invitation, led by Laurentiu Jurca. “I did a premier,at least in Timisoara,becous from many years judo for children in this town was forgotten.Our project is based more on judo for education.Personal,I can say that I come back from Germany after 20 years, to give something back to this country.I am also president and founding member of Judo Phoenix Club, and today we wrote history in Timisoara,because in Romania nobody,never organized an event of this magnitude to reunite so many Clubs.The purpose of this action was JUDO FOR ALL,and the parents can see wat means the movement on tatami,to realize the children effort and to help them more in the future with their activities”. My name is Leandro França, i'm a judo teacher in Maxaranguape, Brazil. I teach judô on "Judô Consciente" it's a Social project than i did since 2010. It's the first time than we celebrated this event in our city. It was very amazing. 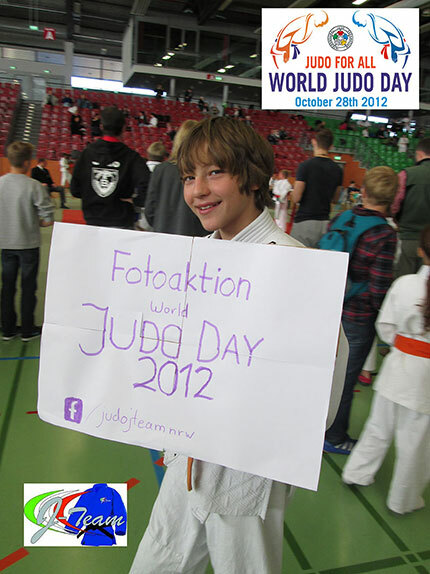 On 28th October 2012, we organized a small competition to celebrate the world judo day. We don't have a great tatame but it was cool. A lot of this project's judoplayers dont have a judogui or kimono, so i had to give the mine too. We congratulate the international judo federation president and every world's judoplayers for this day. See you on 28th October 2013. I just wanted to let you know that we celebrated World Judo Day at our Dojo by having a special training session where the kids joined in with the adults. Unfortunately, we could not invite too many people because our dojo is too small. We printed over 200 World Judo Club stickers and gave them out at the local school and kindergarten. We also gave some to the kids at the next closest Judo club to us. In addition to this we invited the local council member Julia Leu and the local newspaper. We taught Julia how to throw our most skilled Judoka Sebastian Temesi. We presented all the participants of our training session a certificate. Hopefully next year we will have the support of the council so that we can have a bigger venue and a bigger event for World Judo day. Judo for all was a great theme. Thank you for providing the graphics on the web site that we used to make the stickers and the certificates. Judo is not as widely known in Australia as in Europe and Asia. 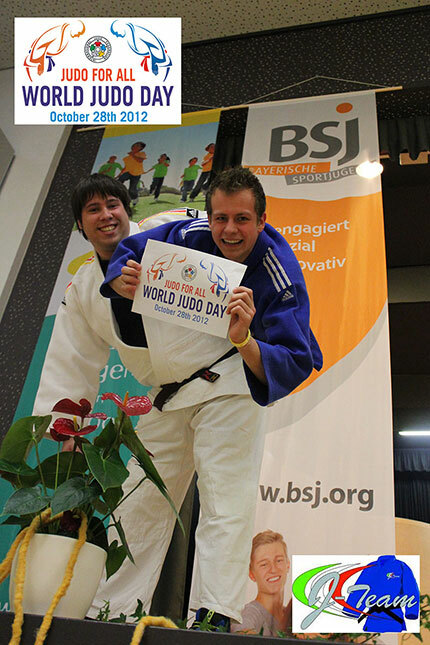 Our main aim with World Judo Day was to raise the profile of the sport. 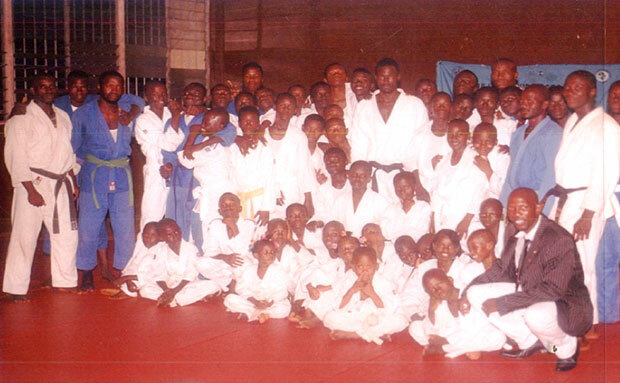 The Chadian Judo Federation organized in October 28th a judo demonstration at the Don Bosco Center. This demonstration was put inder the hospices of the World Judo Day. We would like to inform you that Mr. Mukesh Kumar, General Secretary, Judo Federation of India & Judo Union of Asia, JFI Officials and Indian Judokas celebrated the World Judo Day, as well as the birthday of Prof. Jigoro Kano on 28th October 2012 at National Institute of Sports, Patiala. 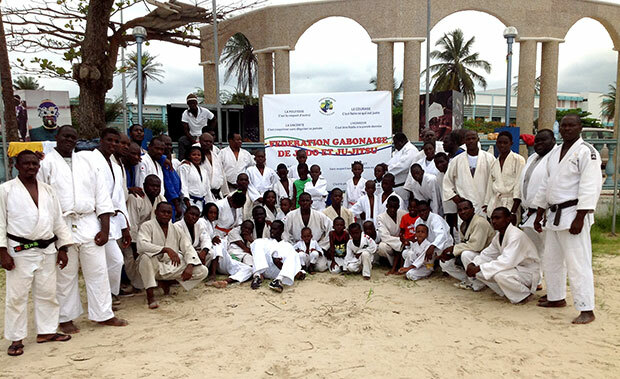 On the occasion of the World Judo Day, the three countries organized a judo competition, followed by the judo demonstration, in Lomé. 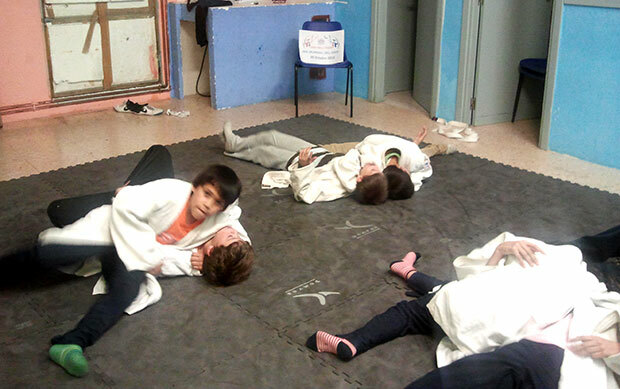 Here is the report from Nacka Judoclub, situated nearby Stockhom, Sweden. We had an spectacular judosession with about 40 persons on the tatami at the same time. From the smallest toddler at 3,5 yrs to judokas in their best ages (significantly) and with different colours of the belt. Already from the warm up with exercises to music, there were lots of energy and joy that spread out among us all. We had a great time I can assure you. 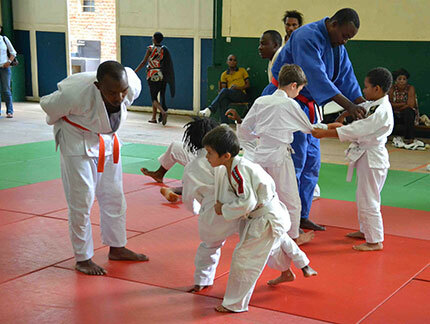 In solidarity with the international community's celebration of World Judo Day, the Barbados Judo Association hosted a sport and art contest this year. Persons were required to submit photos under the sub themes Judokas at Rest, Judokas at Play, Judokas in Love and Judokas at Work. The Association also held an event at the Marine Gardens Dojo on Thursday 23 October 2012 where parents and judokas had a short joint training session and the winners of the contest were announced.The winning pics and three photos of the session may be seen below. The president of the Association Prof. Hoskins Caddle also spoke to group assembled reminding them that there was a role for everyone in assisting the growth and development of the sport. 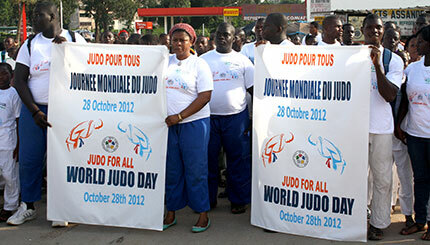 The World Judo Day was celebrated in Burundi on October 28th, 2012, in the national dojo. More than 200 people were gathered together. This year, all age groups were represented: kids, adults, physically and mentally challenged judoka... Everybody was there to celebrate the World Judo Day. Burundi's albinos group is minimized and sometimes banned, but practicing judo with others, the child felt confident and happy to participate in group work. The community recreation judo progam of the University of the Philippines, called the UP Power Kidz, observed the birthday of Jigoro Kano in a very simple way. 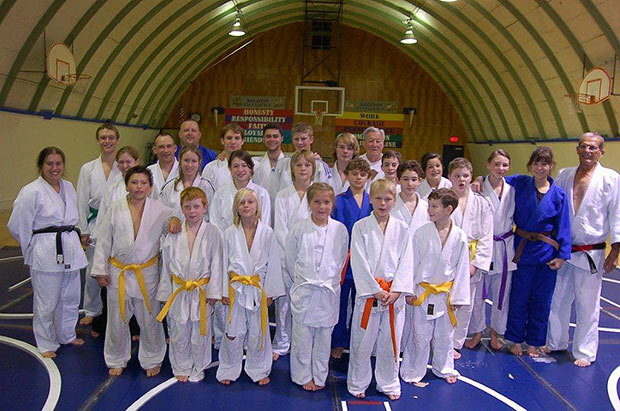 The day was set aside for preparing and conducting the promotional exam of four kids from yellow to orange belt. They are Hermenegildo Dumlao III, Mary Carolyn Asoy, Abigail Chua and Michelle Lapinig. The kids were prepared by the help of two orange belts, Glenn Asoy and Simon Tiangco, who will soon be taking their green belt exam, and assisted by Justin Honrado, a new yellow belt. The UP dojo was blessed to have another organization, Lifebox, donate paint and volunteer to paint the ceiling. To cap the day, the UP Power Kidz received a donation of a brand new Mizuno blue and white judogi from UP alumni husband-and-wife, Reynaldo and Ava Madrid, who also celebrated the first birthday of their son, Kidlat. 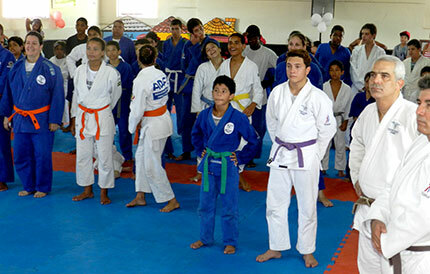 The Sports Association Fernandes Leandro sunday held one class to integrate their athletes and their families in celebration of the world day Judo. We had the participation of our athletes and competitive athletes base, along with their parents. The Sports Association Fernandes Leandro is located in the city of Campos dos Goytacazes, state of Rio de Janeiro Brazil. 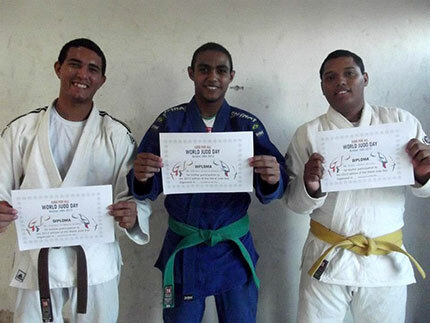 and is senseis teachers Orlando Junior, Eduardo Frederico, Waltair Castro. 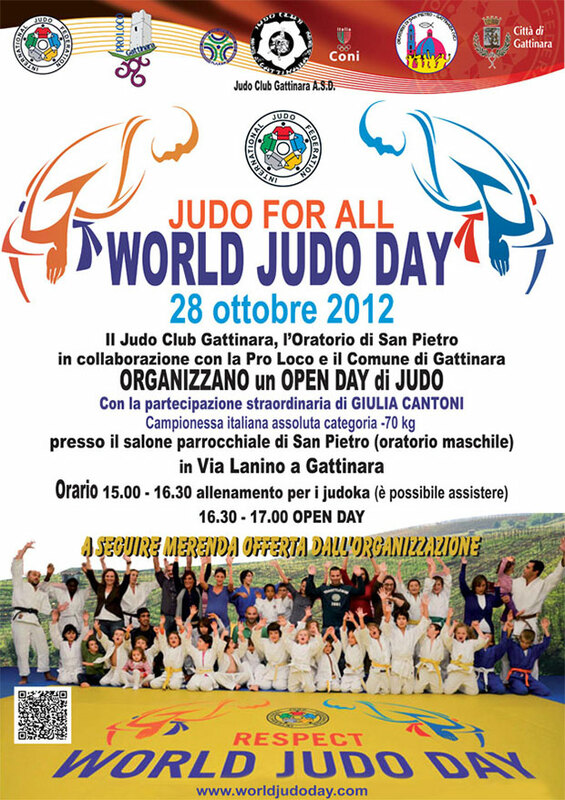 I am writing to inform you of our activities of the International Judo Day held on 28th October. We are the Dojo JUMEDO, city of Mar del Plata, Buenos Aires, Argentina. 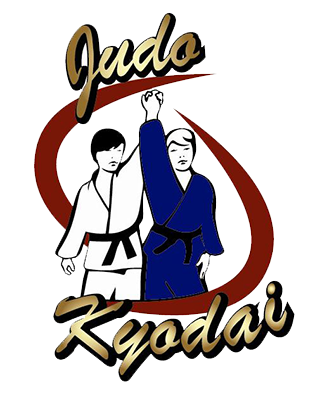 Dojo is a new club created 2 years ago and has already formed a very heterogeneous group of judoka of various ages ranging from 7 to 60 years old. On 28/09/2012 we made a roast where parents of students helped organize several activities, coordinated games. At the end of the day we made a game of questions and answers that we called "Race Minds: JUDO Version". 5 main themes where developed: general knowledge, competence, skills, ways of training and history. The DOJO upon learning of this proposal do not hesitate to share the experience with the IJF, hoping that you will enjoy it and make it public. 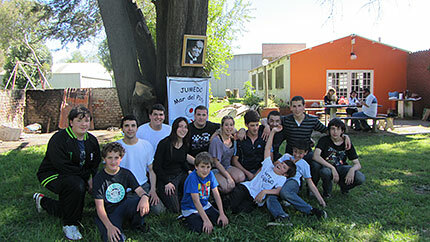 YUKAY DOJO CATAMARCA, as well as we made 2011, the we had several activities: UKEMI FOR ALL, NAGE WAZA FOR ALL, KATAME WAZA FOR ALL and JUDO GAMES FOR ALL. OUR message is, if you look at the photos, everyone is fun and you can´t say who is who,... who´s the best judo player, who´s the highest graduation, who´s the best kata performer... SO ALL OF WE ARE JUDOKA! 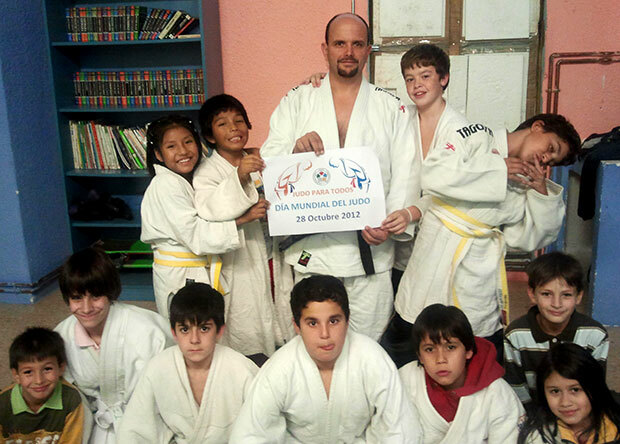 JUDO FOR ALL CATAMARCA ARGENTINA 2012!! We have had a fantastic world judo day yesterday. We have over 100 judoka on the mat. 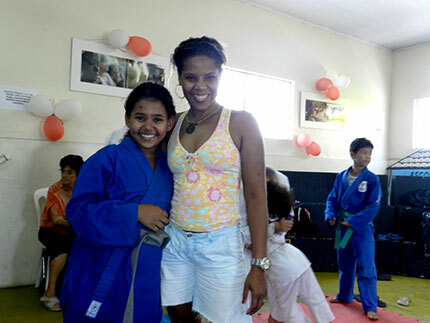 We started with a lesson for judoka with their father or mother and a boyfriend or girlfriend. Most of them had never before been on the tatami. After the joint lunch there was for the contest a judoka race training under the direction of Jasper de Jong (Dutch championship last week-66 kg.) and Tobias Mol (won bronze last week-100 kg) our children found it a really fun lesson. It was a super successful day. We would like to join in next year. This weekend over fifty coaches from across British Columbia and Canada were in Squamish to take part in the 2012 National Coaching Conference featuring Olympian Nuno Delgado and to celebrate the 2nd Annual World Judo Day on October 28th. During this event hosted by Judo BC participants learned about Mr. Delgado’s experience not only in the high performance stream but also of building a large grass roots program for children starting at age four. There were lectures and on mat situations talking about age appropriate exercise for various development levels as well as plenty of interaction and even some dance lessons! We also got a look at the business side of Judo and exchanged ideas about growing participation and running a club that is both technically and financially successful. On Saturday night the group also got meet Canadian Olympian Anna Rice and hear her talk on the importance of grass roots coaches in athlete development. Ms. Rice gave a stirring talk about the effect good coaches have not only on athletic development but on the development of good citizens. The on mat sessions were held at the CN Roundhouse with huge glass walls showing the beautiful BC autumn and mats nestled between a steam locomotive and a dining car! Feedback on the weekend included comments of “first class” and “red carpet all the way”. As a professional development event for both professional and volunteer coaches it was a great opportunity to share ideas and hear about what clubs are doing in other parts of the country and around the world. The focus of this conference "Growing your club through grassroots development” was a perfect match for the theme of World Judo Day "Judo for All" and Judo BC is proud to have hosted this event. We hope to have many more like it in the future. 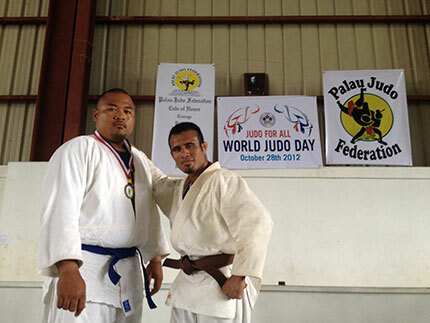 In honor of World Judo Day, the Palau Judo Federation hosted a tournament open for all judokas, all ages, male and female, Palauan and non-Palauan. Twenty-one medals were awarded in 7 categories. 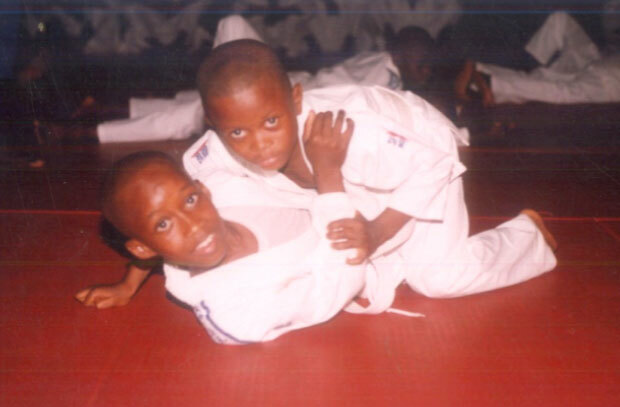 These two young men were former wrestlers and are now gold medalist judokas. Judo for All!! 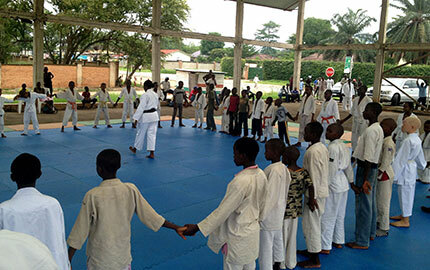 In Central African Republic, during the 2nd world judo day, we organized on October 27th a meeting from 8 to 11:30 am. During that meeting I presented the message of President Marius L. VIZER. Then we discussed about the main theme: “judo for all” We cached that opportunity to point out the central African judo federation’s problem, in the country and outside. 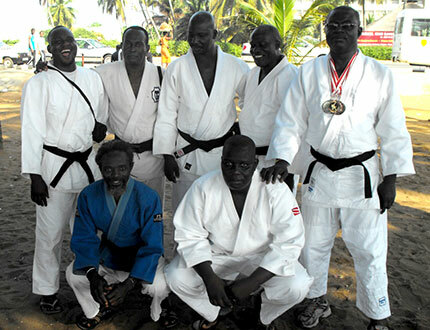 And we ended that day on sharing the donation of judogi to some regular clubs. On October 28th, D-day, we walked on the principal avenue from “National Institute of Sport” to “OMNI sport” where a judo contest took place. Today, on 28th of October, celebrated world Judo day, to honor the great master of Judo, Jigoro Kano. At sports Center "Rinia" Kamez, were collected coaches and athletes of different ages. We talked for life and activity of Jigoro Kano. We represented on video-projector different techniques, and also we organized an open tournament. 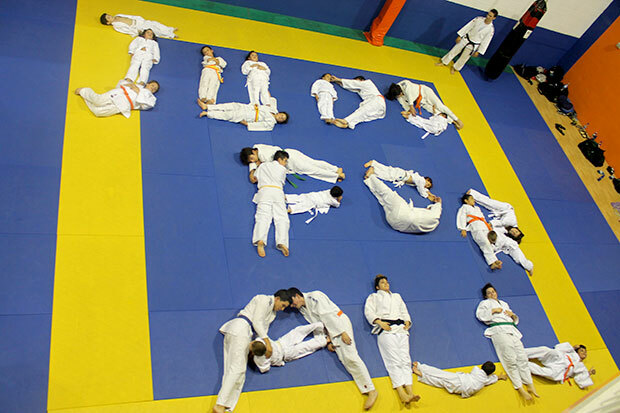 The slogan of this activity was "Judo for All". This activity is also published in press media : Sport Express & Panorama Sport, and we informed NOC of Albania and Ministry of Sports. 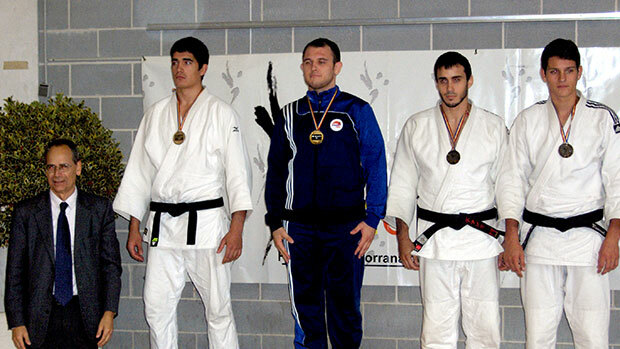 I am Anton Luigj Shkoza, the director of Academy Albania Judo Kodokan and founder of Judo in Albania. 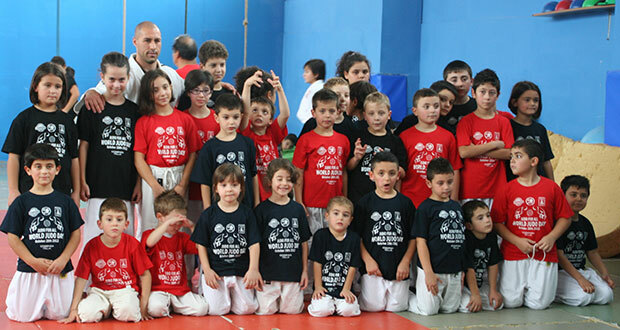 Academy Albania Judo Kodokan has been active in Albania since 1993. We have translated important Judo learning materials into Albanian; Learn Judo, the Kata lessons, and the Qualifications books for Kyu and Dan. After 1999, my work has been made more difficult after an accident and I was paralyzed. But my desire and passion for Judo can’t be stopped by a wheelchair because with my mind and heart are combined with my body of young people and children that practice Judo in our Academy. Let me , through this message, bring to you my sincere wishes for your direction of the international Judo Federation. I win this year jubilar year of the 100 anniversary of Albanian Independence which has been filled with various and special Judo activities. I believe that this is a acknowledgement and respect towards the founder of Judo Master Jigora Kano . Which according to his expressed philosophy, has said always that Judo should be in the service of people. For this national day of Judo, and with the help of the United States Peace Corps, we have competed a tour of Judo demonstrations called “Judo For Peace”. 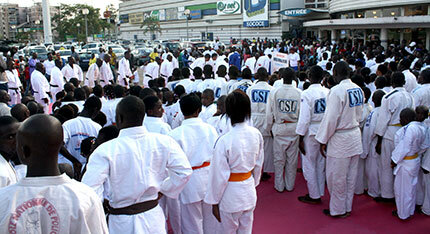 In 5 cities, we have held public judo demonstrations promoting peace and respect. I believe that this is one of the best gifts that Jigor Kana could have received. Sincere thanks from my heart for you and your organization for helping increase the level of judo in Albania. At the same time, thanks to friends of Albanian Judo Itailain maser Angelo Boscetti and Kosovo masters Dritan Kuka and Antan Cena. Wishing you good will for your direction, to accept as a gift the documentation of the video in youtube. I am Estefania Garcia Mendoza, 63kg, from Ecuador and I participated in the London Olympic Games. 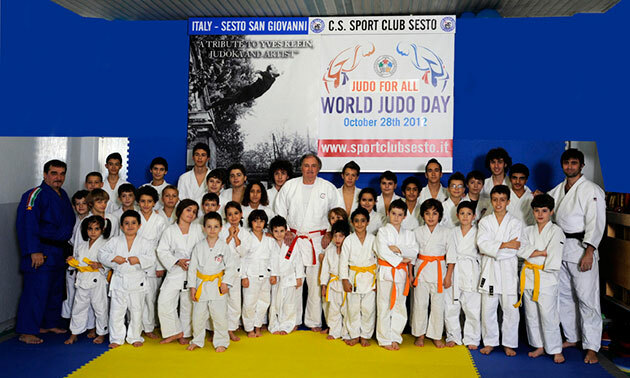 The celebrate the World Judo Day, we have organized activities in order the develop judo and integrate everybody. As the theme "Judo for All" says, we have held training sessions for all and we have emphasized "Friendship and mutual prosperity". We will continue to work on the development of judo and its values. In Latvia,Riga, Judo club "KYODAI" in the morning with a coach Gatis Milenbergs was celebrating World Judo Day, open training for all judokas and their parents, sisters and brothers. All "KYODAI" dojo was full of WORLD JUDO DAY atmosphere. 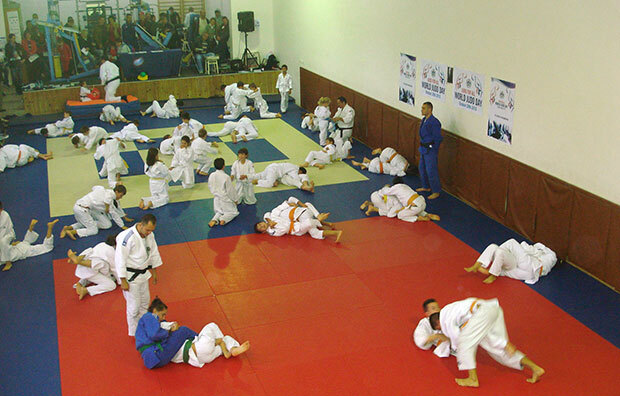 People smiling, laughing and do together judo exercises. After judo training all could enjoy a special cake with inscription "JUDO FOR ALL". 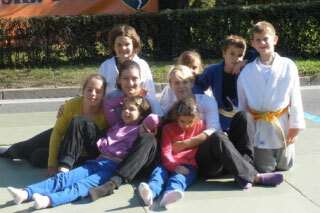 We are two judo clubs from Croatia, from a smaller town called Velika Gorica. Judo club „Pinky“ Velika Gorica and Judo club for disabled people „Pinky“ Velika Gorica. Judo club „Pinky“ is gathering about 150 children of all age groups and also about 30 adults. Judo club for disabled people „Pinky“ is a very young club, we've been existing for two months now, but we already have about 15 children with special needs – cerebral palsy, Down syndrome and mental retardation. As the theme of this years „World judo day“ is exactly what we are doing – „Judo for all“, we celebrated it by organizing a judo tournament for all of our members, no matter what their abilities are. We had Open Doors on that day, so that everyone can try to learn the basics, talk to coaches and members of our Clubs. This was also our opportunity to show to everyone how there is no difference when judo is in question. 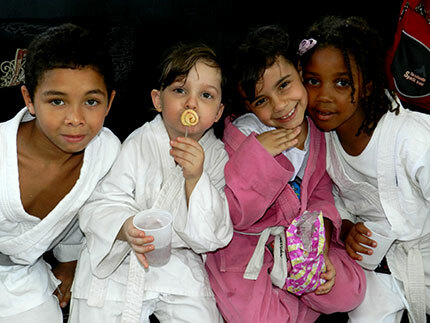 In our Clubs, children with disabilities are training along with healthy children – they are learning judo together and exchanging life experience with each other. Our greatest fortune is to have judo – it is doing our job for us! 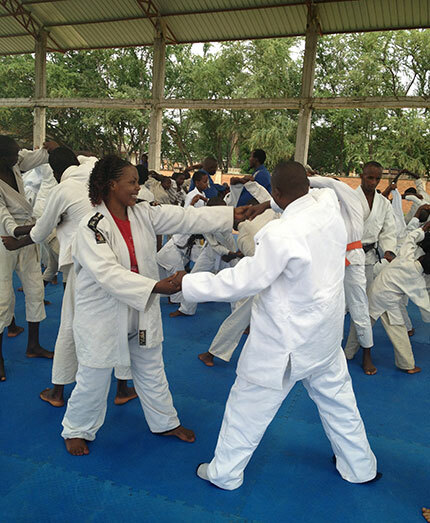 The Botswana Judo Federation hosted a training camp, in celebration of the World Judo Day. The camp was held at the National Stadium of the BNSC. Members present at the training camp were taken through the core values of judo as well as a recap on the history of judo and where we come from and the future of judo in Botswana. When talking to the youth, the President Estony Hattingh, explained to them that they are the future of the Judo and have a very important role to play going forward as they are our, future presidents, Executive Committee Members, Olympians, Referee and Coaches. She emphasised the importance of taking judo to the people of Botswana, making it accessible to all as that is what this year Judo Day is about ‘Judo for All’. At the end of the training session, the children decided to sing happy birthday to the Master, Sensei Jigoro Kano. The Catalan Judo Federation took the opportunity of its veteran championship, organized in Barcelona, to celebrate the World judo Day. That all judokas in the world has the opportunity to continue to progress in peace, harmony and respect as is the philosophy of our beloved sport. This and the philosophy of Judo, this is the legacy of Master Jigoro Cano. For small countries as our Caribbean region with a lot of adversity, the sport of Judo is a philosophy of life, persevere, work, no matter how hard it is. On behalf of our Confederation .. congratulations to all, continue doing Judo...Judo alive forever! 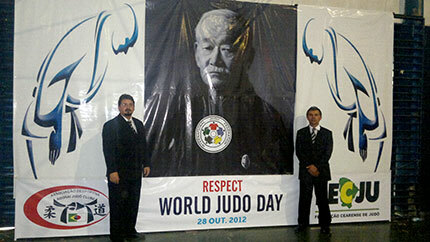 FAISALABAD, October 29, 2012 - The World Judo Day is observed as Respect Day in Pakistan. The main theme for this year was Judo for all by IJF. Talking to Seven Sports, Mr. Masood Ahmed Secretary General Pakistan Judo Association expressed that “The word Judo consists of two Japanese characters, "ju" which means “Gentle or Polite”, and "do" which means “the way”. So, Judo means "the way of gentleness". He added that Judo is not only a physical activity but it is also an international language that transcends national borders, cultural barriers, and language difficulties. The basic symbol of Judo is to bow (to bend), in starting of this game, players bow which means that they give respect to each other, while Judo students learn valuable social skills, and build a long-lasting and meaningful relationships with others, Mr. Masood Ahmed said. Masood further told that in Pakistan, there is a great need to introduce this spirit of game. Over all, Pakistan has lost much in war against terrorism. International events of sports are not being held. We can bring back international sports back in Pakistan, if we get know about the basic theme of Judo. POA, PSB and all sports federations should create an atmosphere of respect to others. Masood who is also secretary general of South Asian Judo Association, congratulated SJAF who has made a beautiful effort to observe this day in Pakistan and hoped well for it. Mean while Masood revealed that Pakistan Judo Team will participate in Tokyo Grand Slam in next month. 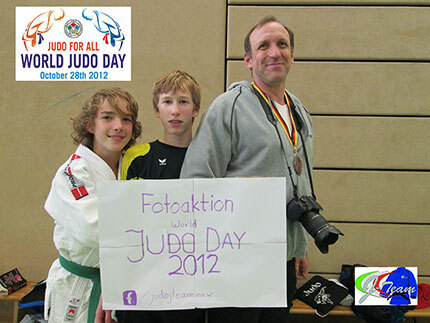 “Judo for all” under this slogan, the Judo J-Team NRW collected a lot of photos during the World Judo Day. Two members of the Team, traveled through NRW and took some pictures in front of popular buildings in the Ruhr area. 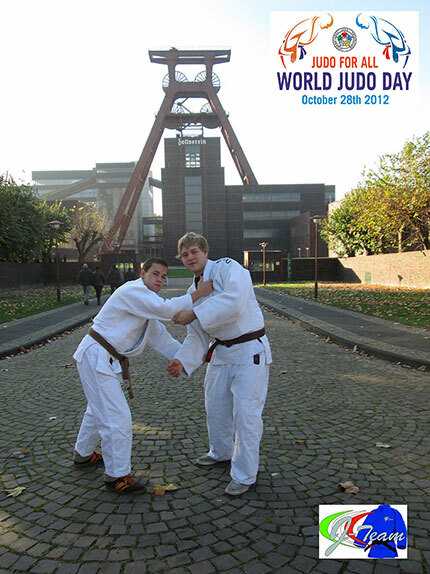 In Duisburg, Essen and Bochum, they used the wonderful weather to show Judo. In addition they cooperated with a German soccer club. The VfL Bochum, which plays in the second German “Bundesliga”, gave them the chance to take some photos inside the stadium and on the field. 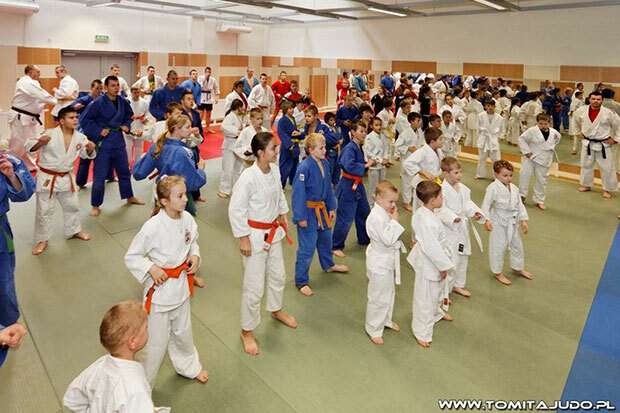 Besides they visited a judo tournament in Mülheim. There, Thomas Vogelgesang and Christian Kaufhold took some pictures together with young judoka, coaches, referees and spectators. All participations were a symbol of the large variety of judo. In Burghausen, in the south of Germany, Daniel Skakavac and Moritz Belmann took some pictures during the meeting of the members of the German Sports Youth. There, they represented the sports structure in NRW and the sport Judo. In the snow, both of them showed some techniques in front of other delegations. In addition, Ingo Weiss the president of the German Sports Youth changed is jacket with a judogi. Is with a great pleasure that the students from the Federal University of Rio de Janeiro, Brazil are sending this email. Our judo team was created less than two years ago and we already have a few expressive results. This year we used the World Judo Day as a way to divulge judo to other students of the university and also make them know about the existence of our team and maybe join us. We thought that this year’s theme (Judo for All) was very timely, because of the diversity of people that we can find in a university. So we made a lesson plan where the more graduated could help those that was coming for the first time. Our class begun with the basics of judo, the ukemis. Everybody could see and try to do the three main techniques: Ushiro Ukemi, Yoko Ukemi and Zempo Kaiten Ukemi. After this we walk to our the first projection technique: Osotogari. And less but not least the most expected part, the handori. We had one simple rule everyone could try to throw the opponent using only the osotogari, even the graduates. That was very cool because all of those that were coming for the first time didn’t get afraid of the graduate ones. In the end of the handori season the graduates made a demonstration of a real judo combat where all techniques was able to be used. That made our less graduated and first time coming friends want to keep coming for the trainings and learn more and more about judo.